After releasing a strong EP in December, The White Buffalo followed up with their first full-length album, Once Upon a Time in the West. Their full-length album does not disappoint; it holds true to the sound of the band’s previous EPs. Once Upon a Time in the West is 13 tracks of open plains, gritty vocals, and drinkin’ away the memory of lost love. 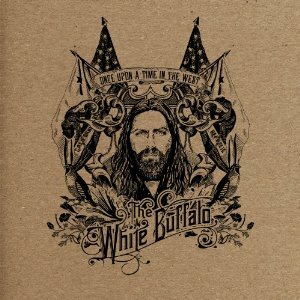 The White Buffalo brings to mind artists like Tom Waits, (old) Neil Young, and Warren Haynes. Vocalist Jake Smith sounds like he’s stepped back into the days when country music really was all about sorrows and shooting guns. Add in steely guitar and driving drums, and this album is a perfect picture of the West. It’s full of attitude and sprinkled with wistfulness. One stand-out track is “The Ballad of a Dead Man.” It’s a sad, meandering soliloquy of lost men on the battlefield. Mid-album, “Hold the Line” picks up more energy with steady, driving guitar. Equally fantastic are songs “The Pilot” and “I am the Light.” “I am the Light” turns out to be a great closer to Once Upon a Time in the West. In truth, nearly every song on the album is high-quality. Once Upon a Time in the West feels like a well-rounded, gritty Western, from start to finish. The White Buffalo | Bonus Session from Pastime Productions on Vimeo.